Tony and Monica have been married since 2006 and have two daughters. Tony has extensive experience in professional ski and snow board instruction and has achieved a second degree blackbelt in Chinese kenpo. Monica has a background in theatre and dance performance as well as operations in Nonprofit and volunteer management. In 2008 they declined an offer to own and operate a professional black belt academy. They moved from their home town in Santa Fe, NM to Texas in order to pursue the wisdom and attention of Dan & Brenda Rein, gaining personal mentorship in life and asset development. 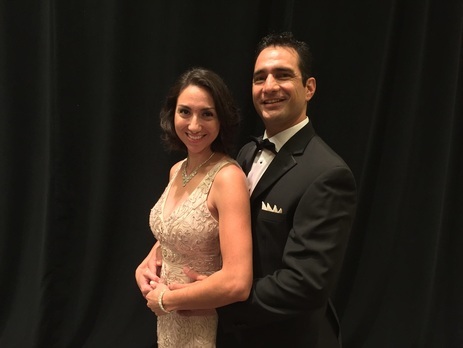 While working to secure a long term cash flow asset, Tony currently works as a contractor with a telecommunication firm installing broadband services for business and Monica is a full time mom. Together, they are driven by the positive impact this business vehicle has made in their families life and the lives of others. "Our greatest joy is family, and because of the rights & privileges we have, it is our responsibility as Americans to capitalize on the freedoms that this incredible country has fought to give us. To us that means being able to devote our lives to our family and God given purpose in a way that only financial freedom will allow."